Jet Profiler for MySQL 2.0 is now available! We are pleased to announce that multi-language support is now available via this release, responding to feedback and user requests. Support is now available in three languages including English, German and Swedish. If you would like Jet Profiler translated into your language, please let us know. And if you feel you can help us with translation, even better! Adjustable data retention timeframe is another exciting feature. The feature itself allows you to specify how long the application will keep the data before discarding it. This feature enables extended profiling over days or weeks without sacrificing a great deal in performance or disk space. You can access this setting via the recording settings dialog. Another powerful feature in this release is Top IPs. This new feature will let you know which client IPs are using the database the most. This will be helpful if you have lots of client nodes using the database, such as a group of web servers. With the help of Top IPs you’ll be able to quickly ascertain if the load pattern is evenly distributed or not. This can commonly be the case if some machines have dedicated workloads such as cron jobs or an admin gui. This release also contains bug fixes concerning performance and other issues. For a 1-minute tour, click here. Jet Profiler v1.0.8 is now available. The biggest change is for Windows Vista / Windows 7 users, where the software no longer needs to run as administrator. This improves usability for companies where running as an administrator is a security concern. For this to work, a reinstall is required. Jet Profiler now works on Intel 32 bit Mac Machines! Snow Leopard is required, as it includes the necessary Java version. The release also contains some bug concerning memory leaks and software updates. You can also specify the column to use as key using the -k option, e.g. Similar but different, repeat allows you to run a query multiple times with some delay. Exercise for the reader: see if you can modify the command above to show the result as a line chart. If you often connect to the same db machines, you can name them in your configuration file. You can then specify the name when starting myterm, e.g. You can see the list of existing abbreviations by typing abbrev list. You can also add your own abbreviations by typing abbrev add. Jet Profiler v1.0.7 is now available. We've made a couple of releases the past month with focus on stability and performance. We've fixed numerous bugs, such as slow scrolling on some Windows machines, many memory problems and some internal database problems. We've also improved the speed of the program, which will make it easier to work with a lot of data. The explain dialog has been slightly enhanced for better usability. And we now support profiling with limited rights. So if you are using a big web hosting company such as Hostgator, you should now be able to profile even though you don't have full access to the database servers. I just launched an open-source project on launchpad called myterm. Myterm is a crossover between the standard mysql command line client and the concept of pipes and filters in bash. You can use it to run queries and filter the produced result set in various ways using pipe chaining. This lends itself to quite a lot of different use cases, for instance graphical charts, md5 checksums and different presentation forms to name a few. It has browser integration using shell exec, which means it can render html result sets or charts in your browser. And since most stuff is written using plugins, it will work well to serve as a hub for hooking in more and more tools for data transfer, dumping, backup, simplify monitoring and so on. Sort of like inversed bash-scripting; you start inside the db going out. cols Filters columns and column ranges. grep Filters lines containing the specified text in any column. insertify Creates insert statements based on a result set. other Reduces a result to max N rows, collapsing any extra rows to a row titled Other at the end. chart Renders a chart using php Libchart. html Formats the data to a html table. md5 Calculates an md5 checksum of all rows and column values. plain Formats the data to the default plain text table grid. tsv Formats the data to tab-separated-values plain text. vert Presents the data in a vertical plain-text fashion, similar to mysql \G output format. vhtml Formats the data to a record by record, vertical html table. browser Sends the output to the browser. file Sends output to a file with the given filename. std Sends output to standard out. It's currently written in PHP, which is kind of bad, because of PHP:s limited console integration, signal handling (ctrl-c) and threading (think +asynchronous / multi-threaded queries). Maybe a rewrite in Python would fix these issues. Eric Day has initiated a similar project at Portland State University which is about to start... ...and they're thinking of Python! So I've contacted him about possibly combining these projects in some way later on, once both projects have gotten further. then follow the README file. For now, myterm parsing and option handling is limited (don't do multi-line queries, comments or too much quoting), but most basic stuff works. There are probably tons of bugs in it and things that don't work, I know :) So... if you'd like to contribute, join the project and mailing list on launchpad. There, you can also look at the blueprints which are some ideas on additional features. Feel free to leave comments and feature suggestions! We've received a lot of feedback from our customers regarding our licensing model. Many people felt annual subscriptions were limiting since they would have to renew the license every year. Another limitation was that the software would only run on one single computer. We've removed the one year limitation of the subscription-based model. The new license allows you to use the software for as long as you like. There will be no more recurring fees, and the software will not stop working after one year of use. Another improvement is that we now support two installations per license. This allows for much greater flexibility. You can install it on your laptop and desktop at the same time (or at work and at home). Or you can share the license with a colleague or give it to a friend. All customers with subscription-based licenses will be offered to convert to a normal license with the next renewal. So instead of paying $399 for a completely new license, you can pay $99 the next time you renew your subscription. You will then receive a normal license. An added benefit is that if you have multiple licenses, you can cut the number of licenses in half since each license is valid for two computers. A sales representative will contact you in time with more information. Replication Profiling - You can measure how much capacity you have left on the replication SQL thread on slaves. If you are using MyISAM a lot, a MyISAM lock analysis will help discover any locks associated with replication, as well as lock-prone queries in general. Query Ratings and Visualization - You can get your queries rated using EXPLAIN and see which queries are most likely to cause load due to missing indices etc. The execution plan can be visualized in a diagram, which shows the table lookups involved, the join size and any bad indicators. Low Overhead - Running the tool against MySQL typically costs around 1%. Recording granularity customizable 100ms - 10s. You can use the built-in slow_query_log from within the server. It will show you queries that take more than a second. Such queries typically don't use indices properly and are important to address. But only slow queries end up there, and many performance problems aren't caused by slow queries, but by queries that are run very often (for example, for-loops in the code instead of JOINs). You could use complete server query logging. This will log every statement to file, but it's not recommended, as it will take too much disk I/O. SHOW PROFILES command by Jeremy Cole (available from MySQL 5.0.37) can help you a great deal. Once enabled, it will gather cpu execution times and other important information on up to 100 queries. You can compare the results and see wich query is most expensive. This article explains more. The SHOW USER / INDEX / TABLE STATISTICS patches from Google add functionality to trace cpu time and much more per user, index and table. No query information is shown though, you will have to figure that out based on the tables. The patches are not part of the main MySQL distribution, but Percona provides prebuilt MySQL versions. 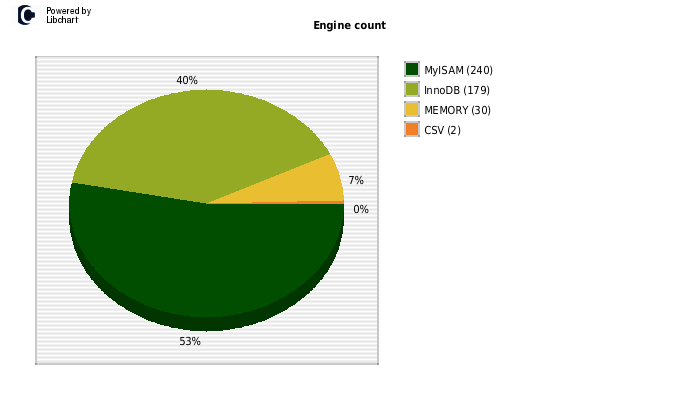 MySQL Enterprise Monitor's Query Analyzer is great for finding the heaviest queries. Using MySQL Proxy (man-in-the-middle software), it collects all queries sent to the server and ranks them by execution time. You can also see number of times the query was run, and number of rows typically returned. Being the best tool of them all, it also costs, and it requires additional software/hardware setup for the MySQL Proxy. Another option is the SHOW PROCESSLIST command. It shows a list of currently running processes (queries), slightly similar to the Unix ps command or Windows Task Manager. For every query, you can see how long the query has run, its user, ip and state. If you run this command just once, you will get a snapshot of what queries the server is busy doing right now. Aggregating multiple snapshots over time can give you a good view of what queries the server typically is busy performing. An advantage of SHOW PROCESSLIST is that it works on all MySQL versions without modifications and requires no additional software / hardware. On the downside, you don't necessarily catch all queries, just the queries that happen to run during every snapshot. If you collect many snapshots over long time, this is less of a problem. You might not have the option to go for MySQL Enterprise, or install MySQL Proxy in front of your database servers. Or you might not be able to swith to the MySQL server versions containing Google's patches or SHOW PROFILES. Another problem is, that even if you do get profiling information, it is typically presented in raw text form, and might not be easy to browse through. Good tools to visualize the profiling information and navigate through the data is just as important as getting the information in the first place. By looking at the state of the processes, additional information can be extracted, such as lock-prone queries (if you're using MyISAM tables), or queries which create a lot of temp tables on disk. The tool is a client desktop app so no server changes are required. It works on all MySQL versions (3.23 - 6.0). To provide good visualization, the information is presented in a line chart over time. You can zoom in on spikes and other interesting time intervals, and see the top queries / users / etc for that particular time frame. Every top list is accompanied by a pie chart to make it easier to compare the impact of different items. An experimental EXPLAIN visualization feature is underway, helping you understand the queries better. We still have lots of adjustments and features before a public release, but we are looking beta testers. If you are interested, click here. Best way to visualize EXPLAIN? We've been experimenting how to visualize the output of the EXPLAIN command. Using boxes for tables, calculating the join size product and highlighting important information. What do you think of the result so far?